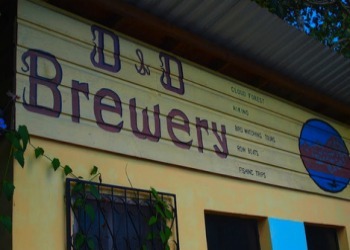 D&D Brewery is the first microbrewery in Honduras, located near picturesque Lake Yojoa in central Honduras. Our draft beer, hand-crafted on site, is a refreshing change from the bottled stuff you�ll find elsewhere in Honduras! 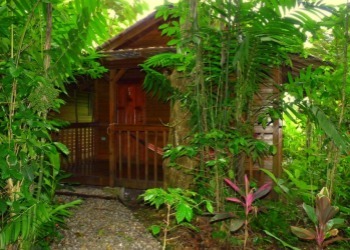 Our accommodations feature 3 private cabins, 6 standard rooms, 2 mixed dorms, and camping�all tucked away inside of our lush tropical garden. Amenities include a full-service restaurant, tap room, swimming pool, free high-speed WiFi, netbook rental, laundry service, book exchange. Well-trained kitchen staff prepare savory dishes, both local and international, using as many local products as possible. In addition to our fine ales, be sure to sample our delicious homemade sodas! You can also enjoy a cup of robust, mountain-grown coffee from nearby Santa Barbara National Park. 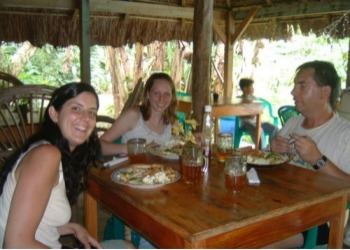 Paradise Coffee Plantation � very short walk down the road. 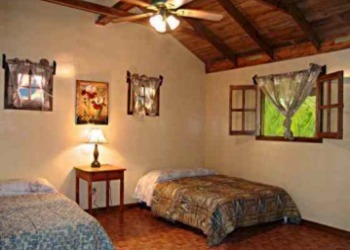 Easy hikes through coffee fields and tropical vegetation. A great way to spend a few hours in the morning. Los Naranjos Eco-Archaeological Park � buy your tickets at the brewery and walk over to one of only 4 official archaeological parks of Honduras. Although these Lencan Ruins aren�t excavated, the 6.5 km of trails near the lake, on raised platforms with numerous bridges, is one of the best excursions on mainland Honduras. Lake Yojoa (Lago Yojoa) - the largest natural lake in Honduras, our brewery is located only a few hundred meters from a canal leading right to the lake. Our resident Ornithologist (bird expert), Malcom Glasgow, runs a guided bird-watching tour out onto the lake via rowboat, captained by residents of Los Naranjos. Pulhapanzak Waterfall � by far the coolest waterfall in Honduras, located just 15 minutes up the road. With observation points above and below the falls, your camera will love you. Also available are guided-tours behind the falls as well as a zip-line course which finish by passing directly over-top of the falls! Santa Barbara National Park � guided tours up to this national park from D&D are available. This park contains some of the best cloud forest in Honduras as well as the 2nd-tallest peak in Honduras. Cerro Azul Meambar National Park � well-groomed and marked trails with maps mean you can hike this one independently! One of the best hikes in all of Honduras, with two waterfalls as well as an overlook viewing down at Lake Yojoa from above. Caves of Taulable � a well-developed cave system open for visitors on the south side of the lake. Hot Springs of Azacualpa � although it�s a bit of an expedition to arrive at these hot springs, they�re some of the best in Honduras. Piping-hot water jets and spurts from below. There�s even a natural arch which has formed above the springs. A day-trip from the brewery.